We at Warner Service write and talk about regular maintenance practices for your HVAC equiptment. 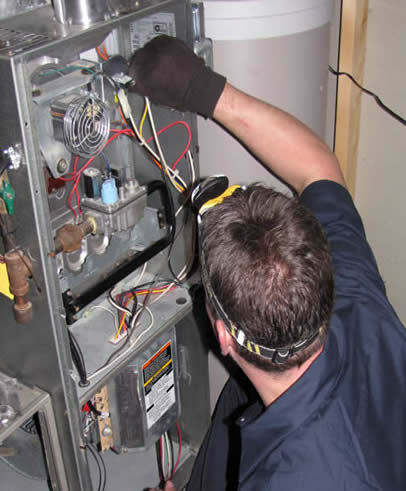 Regular maintenance increases the life of your equiptment, especially your furnace. Not only will regular maintenance protect your investment and save you money, but it will also ensure that your equiptment runs safely. Furnaces that are not properly maintained are more subject to gas leaks and other dangerous issues, such as carbon monoxide production. Maintaining your furnace is a good idea for these reasons and more, and that's why Warner Service has assembled these ten tips for keeping your furnace in perfect shape. Make sure your thermostat is functioning properly. Does your thermostat setting seem to match the temperature of the house? If your thermostat is not functioning properly, your furnace will not be able to work as it should. Dirt and inaccurate calibration can negatively affect the performance of a thermostat. To ensure proper calibration of your thermostat, contact Warner Service and have a technician analyze your HVAC system to look for possible issues. It's very important to change your air filters regularly. Air filters keep your indoor air quality in top-condition and help to prevent airborn illnesses and allergens. However, as filters accumulate dirt and dust, not only will their ability to clean the air diminish, but your furnace will also have to work harder to push and pull air through the filters. This means more energy costs and less consistant air temperatures across your home. Air filters are easy and inexpensive to change, so there really is no excuse not to change them regularly. Most furnaces will feature a control valve for safety reasons. If you find that your furnace is not producing heat, this is one of the first places to look. On a gas furnace, the control valve will be located on the supply line. Check that this valve is in the "on" position and that gas is free to enter your furnace. Without anything to burn, your furnace can't produce heat; simple as that! You clean your home, you clean your car, and you clean your dishes, but is your furnace on your "to clean" list? If not, it probably should be. A dirty furnace will not produce heat as efficiently as a clean one, and the dirtier a furnace gets, the more chance there is for a part to break. Be sure to keep your furnace clean and maintained to keep both your energy and repair costs down. If you don't know which parts should be cleaned, start with the filter system, blower and motor. If you need more components cleaned, or don't want to worry about keeping up to date with your furnace, contact us about a HVAC Maintenance Agreement to have a technician regularly visit your home and keep your furnace system running in tip-top shape all year round. A misaligned tension belt can cause your furnace to run loudly. If the belt appears frayed or worn, replace it with a new one. A couple of drops of oil should be added to the furnace every season and as needed. Do not over-lubricate. Vents should be checked regularly for debris and blockages. Blocked ventilation could cause carbon monoxide poisoning, which could be fatal. At the end of the winter season, gas furnaces need to shut down. This is also a great time to clean the furnace and replace the air filter. Following these tips at the beginning of each season will keep your furnace in good working condition. If you need any assistance contact us at Hearth & Home.